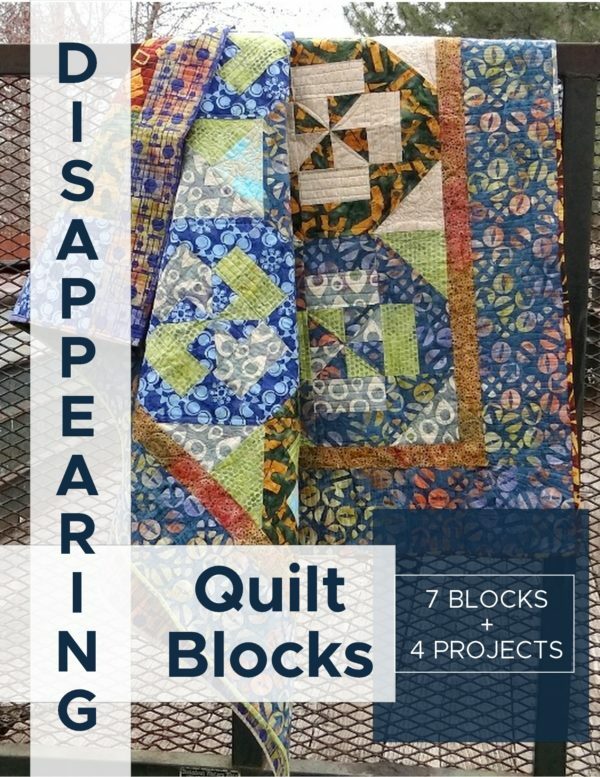 Sometimes I find that time runs out. 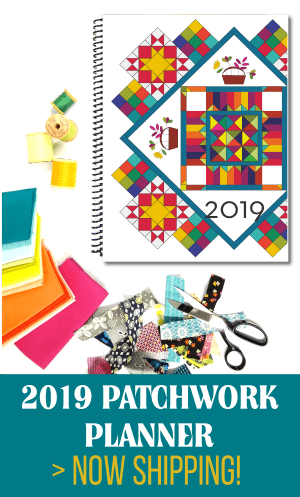 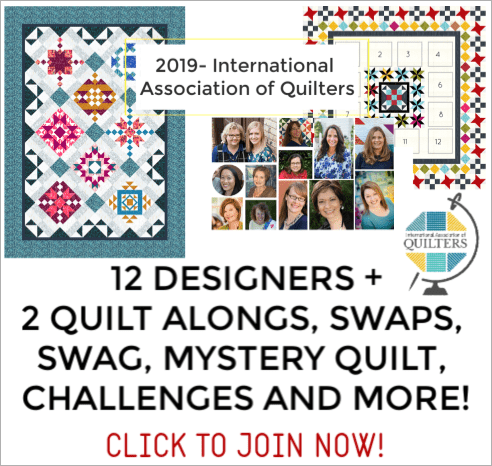 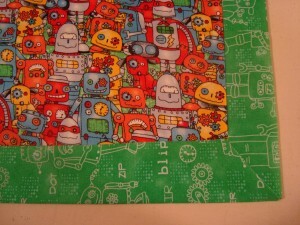 I had plans on putting something together and sewing up a storm, but other things got in the way and it never happened. 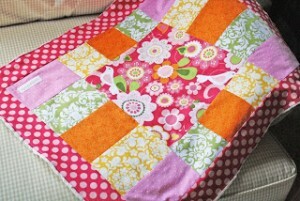 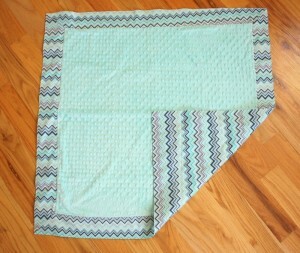 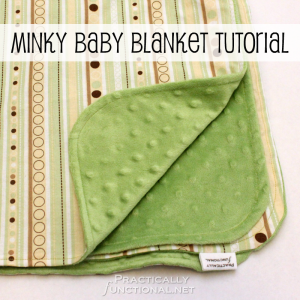 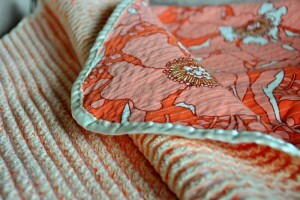 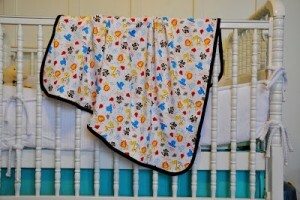 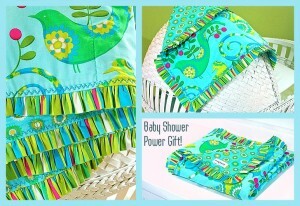 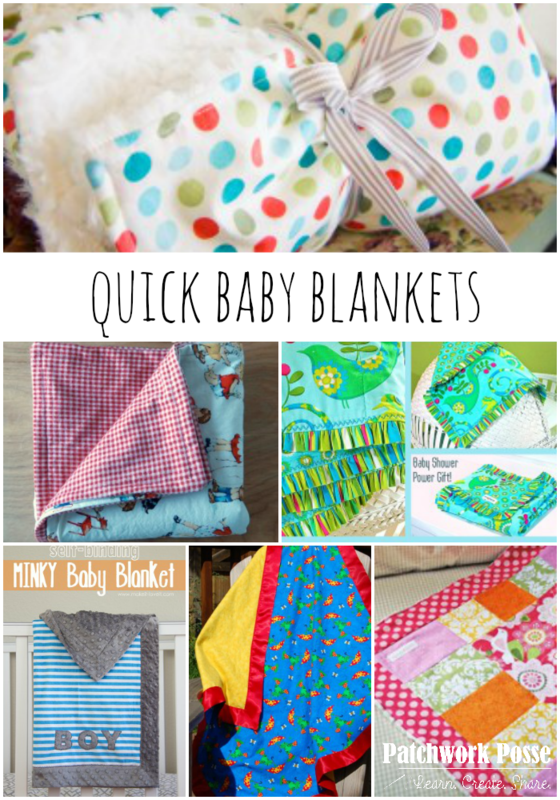 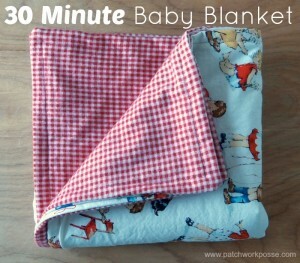 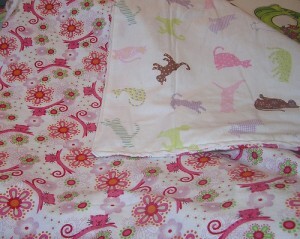 Just in case this happens to you– here are some great super simple and quick baby blankets. 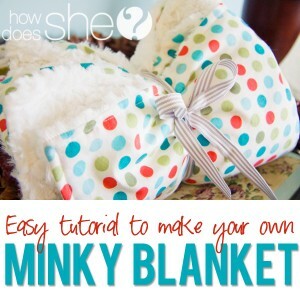 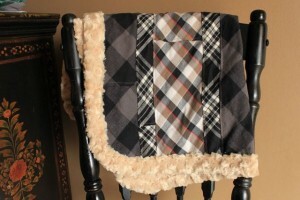 Some feature minky, fur, fleece, flannel or cotton. 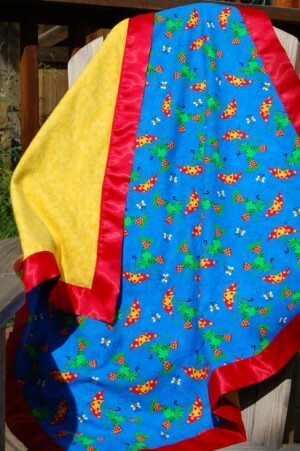 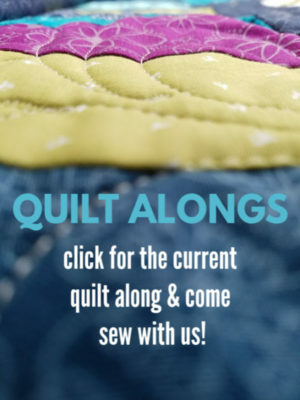 If you have a little more time on your hands, you can add a ruffle or some applique. 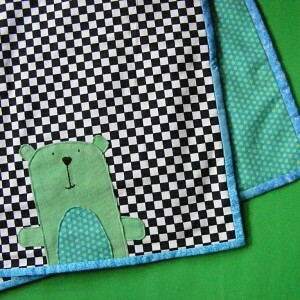 These are great for making a pile of and then having them on hand for emergency invitations. 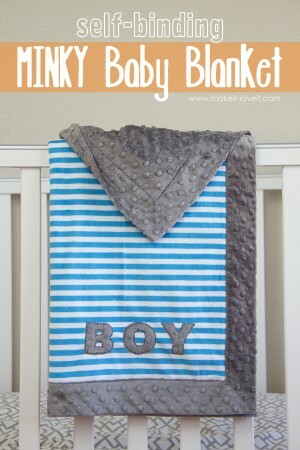 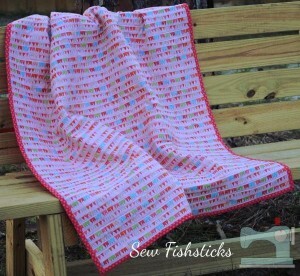 Nothing says handmade then a baby blanket. 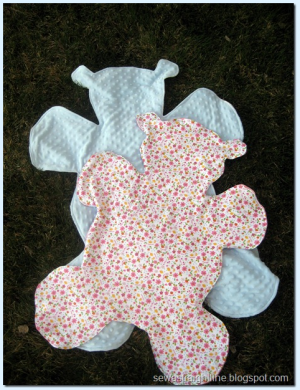 They are perfect for gifts and for snuggling.